Arsene Wenger leaving Arsenal Football Club. This is post that is broken in two parts because of the sheer length of it. I won’t kid myself into believing I’m a brilliant writer and can captivate you for the entire length in one go! As a fan, how do we deal with change? I can be more specific and replace ‘fan’ with ‘Gooner’. You may be wondering what on earth he is on about. Let me give some background. I started supporting Arsenal in 1997; don’t ask why, that’s a story for another time! Or you can read about it here if you’re interested. Anyway, I have only seen Arsene Wenger and Arsenal’s success under him. I admire him for the identity he gave Arsenal based on their style of football. As a fan I’m proud to be associated with such a club. Of course I’m also proud to be associated with a club with so much history; a history I wish I had grown up seeing being made. I admire the man for all that he’s done for the club; we have read numerous dedication pieces on him so I won’t go into details. Frustrated Arsene? – Me too!! When Arsenal would just not defend in numbers…ever! When our biggest rivals just seemed to show better tactical awareness than Wenger for a number of seasons i.e. how can you not learn from your mistakes? There are more to this list but you get the picture. These were times when I wanted change. However, I wanted Wenger to change. Not a change of manager. Why not a change of manager? I was afraid that Arsenal would lose their identity if Wenger left – what sort of football would Arsenal play under a new manager? I don’t want a Moyes to happen or even an LvG for that matter! I was afraid that Arsenal would not be finding gems from across the country/continent/planet and mold them into superstars. I was afraid that a change may take us a step backwards; we were barely qualifying for the Champions League each year post-2005. Now, as in now-now; the present, Wenger’s ‘project’ that we’ve heard about seems to be finally bearing fruit. Yet his contract is running out as well. Even more afraid of the impending change! I think it may be safe to say that I’m not the only one either. Most of the younger generation has only seen Wenger as well; there are plenty among them who can be classified as WOBs or AKBs. The latter must have a fear at the back of their mind somewhere? Please say ‘yes’ if you’re reading this! Regardless, at some point Wenger will leave and we will have a new manager. As a fan, one can be so emotionally invested in their football club or any other team in any other sport for that matter. We always want the best for the team we support. As with any other aspect in life, when there is an impending change there is a level of anxiety. For example this can be at the workplace – new boss, new role, it can be in love – making the commitment, moving in, marriage; so on and so forth. Some are able to deal with the change, some aren’t. It can be down to in-built traits of people or it can be down to experience. For example, I was actually dropped out of university after my first semester because of my CGPA went below their minimum requirement, it was a first experience for my father and a change – his son had gone from being a student at a top business school to being a drop out. Let’s just say he didn’t take it well, I suppose certain in-built traits were missing. However, a Bachelor’s, a Master’s – from the same school may I add – and a decent job later; he happily tells other parents who have similar concerns about their children that it’s not the worst thing in the world. That’s experience. Fans like me, who have only seen Wenger, don’t have the experience. I can imagine which sorts of fans probably don’t have the inner traits but I won’t go into that. Whether or not I or other fans like me have those inner qualities I can’t say. So what are we to do? Or at least, what am I to do? What can I do to be less nervous about the near future when Wenger may not be with the club? What sort of expectations should I hold of the new manager and the sort of success Arsenal should be achieving under him? I felt I needed perspective. Perspective helps take off the blinders and that’s what I felt is required here; perspective for dealing with change. I mentioned experience as an attribute that can help deal with change and how I obviously don’t have any of it. For this, I turned to some of our older fans who have been supporting Arsenal for much longer than I have – from the ‘60s/’70s in some cases! These supporters have been around for a long time and have seen ups, downs, and plenty of change at Arsenal over decades. These supporters have stuck by the Arsenal and will continue to do so. If anyone could offer perspective, it’s them. If there’s anyone I can learn from, it’s them. I had a chance to speak to or have questions answered by Andy (@yorkshiregunner), Gary Lawrence (@garythegooner56), Gav (@shewore), Phil Wall (@AngryOfN5), and Mark King (@mzk90). Before I continue, I’ll thank them here first for taking some time out for this post and offering me a perspective that has certainly helped me already. In totality, these guys have seen eras starting from Billy Wright in the 60s! 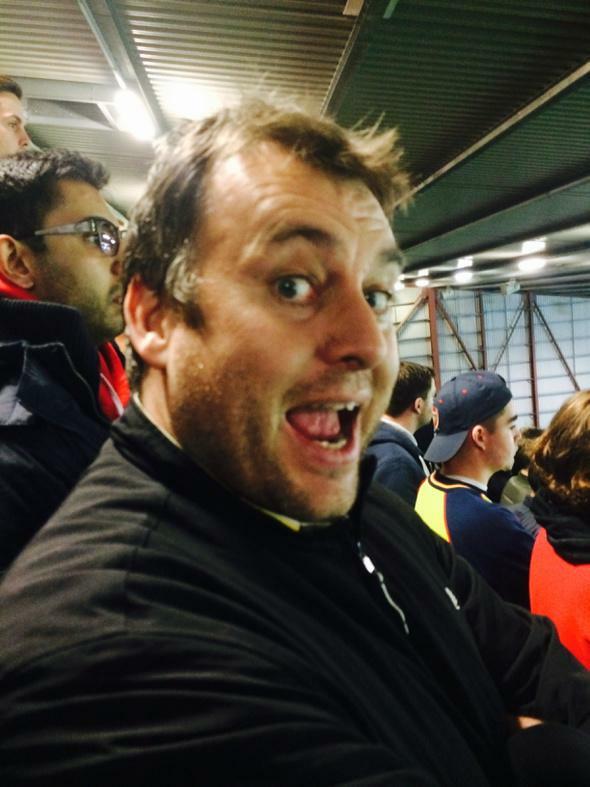 Inclusively, Wenger is the 7th manager at Arsenal since then; not counting Stewart Houston. Before Wenger, some of them had seen the Gunners win the league at least twice, thrice at the most. Before Wenger, they had seen the Gunners lift the FA Cup 3 times. Before Wenger, they had also seen at least one European trophy, two at the most, whilst also seeing two League Cups being won. All over a period of just over 25 years! I asked them a lot of questions so I could get as much insight as possible. I won’t list each and every question; but, I’ll try to club together some questions under one heading representing the idea behind those questions. The content below the heading will be a mix of their views and my thoughts. I started taking more interest in a manager’s role as I got older; I started supporting when I was 12. For the first few years it was about the players for me. I thought it would be interesting to know if these guys followed a similar path and what made them take an interest in such. Though the answers varied, the general trend was that interest in a manager’s role didn’t start from a young age. Some of them took an interest during and/or just after Don Howe’s reign as manager. The reasons? The quality of football coupled with results. Though performances in the league weren’t terrible but cup defeats to lower teams, combine that with football that could be termed as ‘dour’. George Graham brought a visible lift to the atmosphere at the club so the realization of the importance of a manager also occurred then. Interestingly, there was interest as to who would replace Howe. Rumours linked Venables and even Johann Cruyff to Arsenal back then! Additionally, Phil mentions how, because clubs were at a similar level financially, a bad manager could get a club relegated! So, it was a bit more than just the football that had to be considered. I believe the internet era has probably made fans conscious of managers at a younger age but being conscious isn’t quite the same as having a justified opinion. Anyway, the key takeaway here, in my opinion, is that there was an acceptance that our own house was not in order and the identification of the person responsible. I’m not saying that the manager is ALWAYS responsible; sometimes policies of club owners also have a negative impact. Nevertheless, this was followed by the question as to whether or not there was any fear regarding the impending change. In context to the current situation with Arsene Wenger, this is actually irrelevant. Each outgoing manager between Billy Wright and George Graham went out on a low. Gary Lawrence did admit that there were qualms surrounding Bertie Mee’s appointment because he was a physio; not really a football coach and had never managed a club. However, he made up for that by bringing in top coaches in Sexton and Howe and before you knew it, Arsenal was winning trophies. Unfortunately, Mee lost his way a year or two after the Double and Arsenal’s league finishes dipped each year. Terry Neill came in next did show some promise; reaching three consecutive FA Cup finals but only won one of them. The cup winning side also reached the final of the European Cup Winner’s Cup the following year. The successful cup runs culminated in a 3rd place finish in the league the following season. However, it was downhill from there and two years later he was sacked. Don Howe came in next and was considered a ‘stop gap’ solution. Again, no vast improvements for another couple of years and he resigned amidst reports speculating his replacement. In each case above; it was recognized that change is required to fulfill the ambitions of the club. 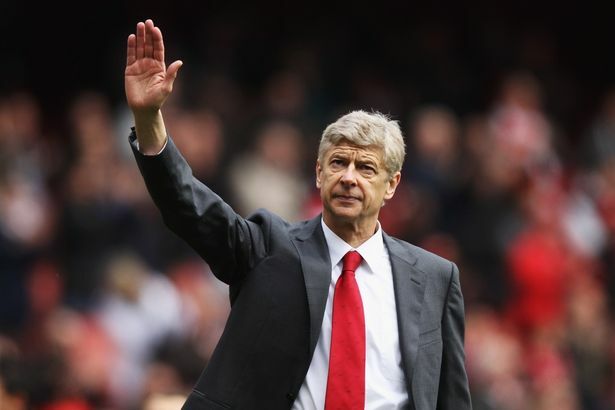 However, it must be noted that Arsenal, in each managerial stint, went from highs to lows that forced the hand. The attitude and expectations of fans somewhat changed when George Graham arrived and there’s a lesson in it for us. Part 2 of this post will look at the implications of George Graham’s reign on fan expectations and behavior towards change which will place the whole situation in perspective for us. How we should deal with the impending change will also be covered in the second part of this post. If you have any thoughts or comments then do share them, I always reply (hint: check the ‘notify me of follow-up comments by email’ box). Or you can tweet me and we can attempt a discussion limited by 140-character statements! Who will be next season’s surprise Superstar? 2013/14 Ramsey, 2014/15 Coquelin, 2015/16 ??? Thanks for giving this a read and sharing your views. I agree with your assessment that Wenger is and has built foundations for future success and we probably don’t have to worry about too much. Out of my own curiosity, did you ever have any worries/fears for the future of Arsenal when you saw other managers leave? Really interesting post on Gooners attitudes to change. From a personal perspective I grew up watching the George Graham era Arsenal and being told stories of previous managers and why I should be so proud of what George Graham was achieving. I equated our success under him with his being a former Gunner who understood the club and valued it. I was scared when he left that if we did not get someone who knew the club and had a long association with it that we would fall behind the other London sides. After Bruce Rioch I was aghast that we were signing a foreign manager who had never had any involvement with Arsenal and had only managed in France and Japan. I did not believe he could care enough for the club or understand us enough to bring silverware. All these years later I remember my anger at the boards decision and my belief he would last a year, tops. I can not say I was happy to eat my words as, like a lot of 17 year olds, I liked to think I knew it all and being proved so very wrong so very quickly hurt my pride a bit. However, I did delight at what Wenger achieved and the way in which it was achieved. When the manager steps down I will be far less judgemental of his replacement and have far more trust in our board. Hopefully this will not be for some time so I can continue to eat the words of the arrogant, short-sighted teenager. Thanks for giving this a read and sharing your experience and views. I appreciate your honesty about how you felt as a 17 year old and I think many who have grown up having seen only Wenger, will probably have a similar attitude to yours. I personally believe that your fear of a negative impact of a non-Gunner appointment was justified. We only have to look at what Kenny Dalglish did for Liverpool, Cruyff for Barca, Conte for Juve to name a few, to not underestimate the passion and ownership a club’s own brings when he is appointed manager. Fans like you will have to lead the way for the younger fans when it comes to judging the new manager, you’ve been there and experienced change. I too as I’m sure others do, worry about what the future holds for our club under a new manager. I think it’s imprinted in all our minds now, first in part when Jose first left Chelsea and certainly now Fergie has left Man U.
I think it will be difficult, but is change ever easy? We can all whine and moan about Arsene and the choices he’s made, but on a whole he has taken the club through a very difficult period in changing stadiums, which it is fair to say is not an easy thing. As you all know Highbury was a fortress, our small pitch made it so difficult for other teams to come to, not to mention steeped in history, with an already established crowd of ridiculously vocal fans. When we moved we lost all of that, I think we need to remember a club is not just the Manager, players or stadium but the fans, those voices pushing players beyond their limits when we need a bit more is a powerful weapon. It’s taken a long time, but through some hard work from some of our more dedicated and vocal fans we are now finally getting that back. It’s also nothing short of a Miracle that Arsene has kept us in the Champions league for the last 17 years, especially when you look back at some of the teams he did it with. I don’t think you can underestimate the Incredible work he has done for our club, he might be stubborn, he might not buy the players you want, but in all honesty he’s always done right by the club. It may not have been what or how you wanted it, but hey if you could do better you’d be getting paid £8,000,000 a year! Thanks for giving this a read and sharing your thoughts. I completely agree that Arsene has achieved A LOT for the club and he probably will go down as the club’s greatest ever manager. I like your point about the fans being a powerful weapon. I just hope our fans have that voice in case goings get tough under a new manager, whenever that may be.